Last week, I attended ISV IQ Live! hosted by Business Solutions Magazine. It was truly a fantastic event. Even though I attended as a guest speaker on a panel at the conference, I arrived in Philadelphia eager to gain constructive insight on the various business topics shared by industry veterans that I could exercise as CEO of a software development firm. ISV IQ Live! is an annual event aiming to help software companies like my own learn how to grow their business through expert discussions about raising capital, marketing, and partnering with VARs, ISVs, and vendors. The sessions this year proved invaluable for me because they helped me formulate new goals. Tom’s rationale was that if your investor is relying on the money, the pressure they may apply to ensure their return often creates a distraction from your goals and can interfere with strategy. In his view, sometimes less is more particularly when the right strategic partner comes along because you stand to gain from the overall strength of a larger, more established partner. How well do you know their target audience? Who are they, and how big is the overall market? How will you make it to the next level, both financially and for increasing the number of customers? What have you done to prove your product has demand? Perhaps what was most surprising, and contrasted from my MBA education, was that the venture capitalists overwhelmingly agreed that a business plan becoming less and less of a necessity for their investment consideration. Rather, they prefer a concisely developed 12-page deck that answers the three main points listed prior. It does not mean that a business plan is not worthwhile. On the contrary, they believe a business plan serves as a needed exercise to ensure business preparedness. Instead, the ability to convey your value proposition, describe the target market, and share concrete goals in a concise manner demonstrates the leadership’s ability to establish and remain on focus. Lastly, we heard from large group of IT distributors about how to establish a successful reseller program as a software company. While my company is a service-driven company, we build cloud and SaaS products for our customers, and some of our customers are software vendors. I listened to the panel’s advice to learn how Software Logic could further the interests of our customers. What I learned is that distributors and resellers are eager to partner with software companies to sell their products, and the programs that are established provide significant upside for software vendors without giving up much. However, it’s important for software vendors to understand how to find the right strategic partners when entering into a reseller agreement in order to protect their product and get the right value-add. Understanding how to help our customers engage in a reseller program is yet another tool in our belt to help customers extract the most value from their software. I know we all have busy schedules, but taking the time out to learn and grow your business is valuable for long-term success. Attending ISV IQ Live! exceeded my expectations in providing a treasure trove of education to grow my business. My hope is that we were able to help others at the event as well. Luis Reyes is an award-winning software developer and CEO of Software Logic, a leading cloud-focused software development firm specializing in product development, API services, and cloud conversions. With more than 15 years of experience helping businesses successfully develop cloud-based applications leveraging the Agile methodology, continuous deployment, utilization of cloud infrastructure, and the implementation of data center automation. Under his leadership, Software Logic is enabling businesses to transition to the cloud and improve operational efficiencies through software development. Prior to launching Software Logic, Luis led software development teams for several Fortune 100 technology companies. He is a highly skilled software developer focused on creating innovative solutions for his clients and helping them gain a competitive advantage through technology. Luis’ deep understanding and level of expertise enabled him to start one of the most innovative software development companies in the industry. He is a Microsoft Certified Professional, a member of the Microsoft Partner Network, and a Project Management Professional (PMP). 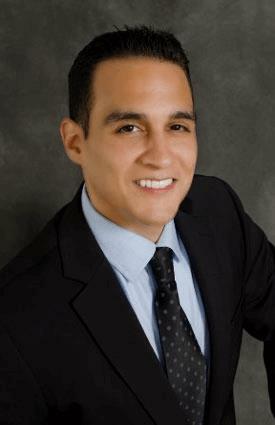 Luis earned his Bachelor of Arts in Computer Science from Pace University and he has an M.B.A. from St. Leo University. Software Logic is a leading quality-driven software development firm specializing in cloud conversions, product development, and API services. Through its adoption of DevOps, Software Logic leverages the Agile methodology, continuous deployment, utilization of cloud infrastructure, and the implementation of data center automation. It focuses on test automation and critical mass of best practices. The company’s expertise in software development enables businesses to migrate to the cloud, increase scalability, and optimize on the power of a recurring revenue model. Its team of software development experts strategize with businesses to simplify technology and turn it into a competitive advantage. Founded in 2014, Software Logic is headquartered in Tampa, Florida. To learn more, please visit www.software-logic.net. Follow Software Logic on Twitter, Facebook, and LinkedIn.